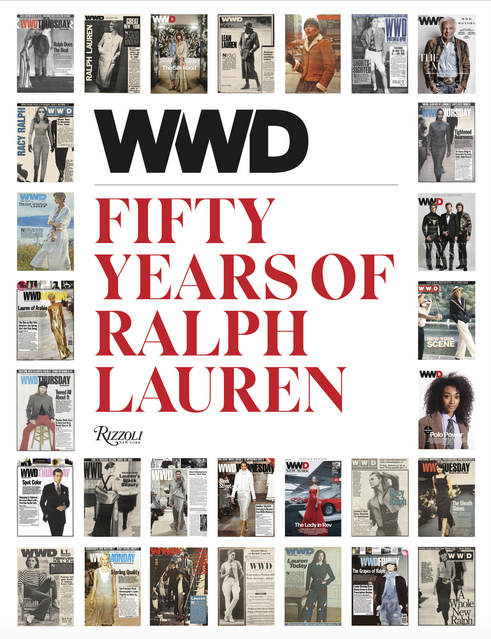 Celebrating fifty years of America’s most beloved fashion brand, a new book, WWD: Fifty Years of Ralph Lauren, chronicles the legendary career trajectory of Ralph Lauren as documented by the global fashion magazine WWD. In fact, it just arrived and we can’t put it down. We get Ralph Lauren, we really do. He’s been a part of our entire lives. He’s synonymous with timeless American style and has transformed a small collection of men’s neckties that dared to go Mod and wide in the late 60s, into a global empire, offering everything from casual polo shirts and athletic apparel to luxury womenswear and home goods. Glam mag WWD has chronicled his company’s e very step since its founding in 1967, from that first wide necktie and iconic advertisements to Lauren’s innovative venture into digital media. Offering insight into this trailblazing visionary, this book is an illustrated volume that details his meteoric rise and the highlights of his career. Through lush, archival photographs and award-winning fashion writing and business articles from the pages of WWD, this tome showcases the brand’s most noteworthy achievements, how it has shaped the fashion industry, and its status as the arbiter of classic American style. Celebrating Ralph Lauren’s fiftieth anniversary, this book is a must-have for all of us: fashion aficionados, lovers of Americana, and everyone in between. Photographs © WWD: Fifty Years of Ralph Lauren, Rizzoli New York, 2018.